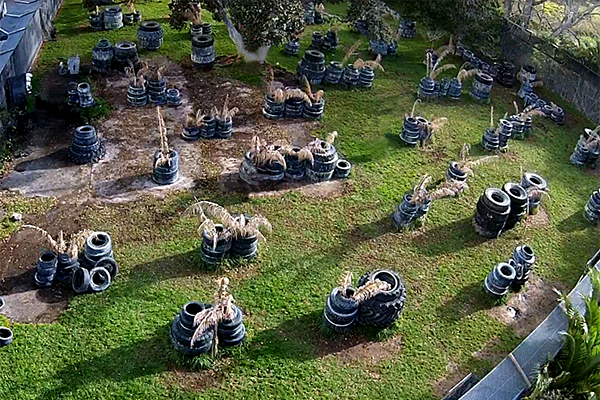 Asylum Paintball offers unique indoor and outdoor paintball facilities available in New Zealand. 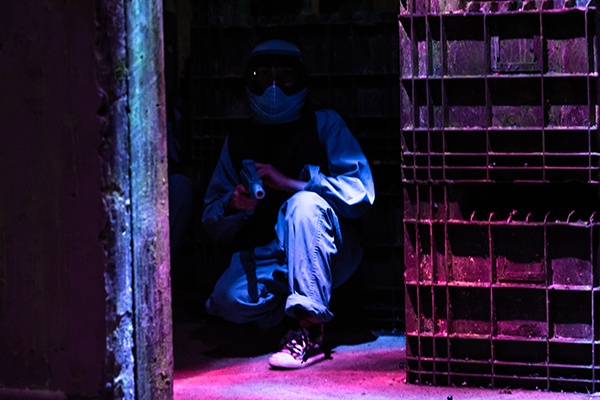 Play paintball on the "Lockdown Ward", "Tyre Mania" and "Asylum Paintball Sport" arenas. Our premier paintball park is designed to run safe, organised and fun experience for family get together or birthday parties, bachelor (stag, bucks, hens etc.) nights, sport or school club outings, corporate or team building events or simply if you want to let off some steam. With no minimum numbers on the weekends, it doesn’t matter if you are by yourself, or part of a group of 40 or more. 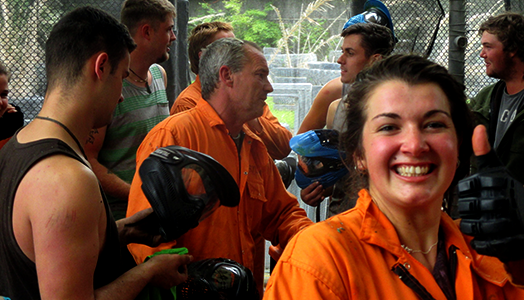 Book now and find out why Asylum Paintball is consistently New Zealand’s top rated paintball park. Our Ultimate Packages include party room hire (from 60 minutes and more) and a wicked deal from Hell Pizza. Hell Pizza makes some of the best pizzas in the country, and now Asylum Paintball is proud to offer Hell Pizza catering to our customers. 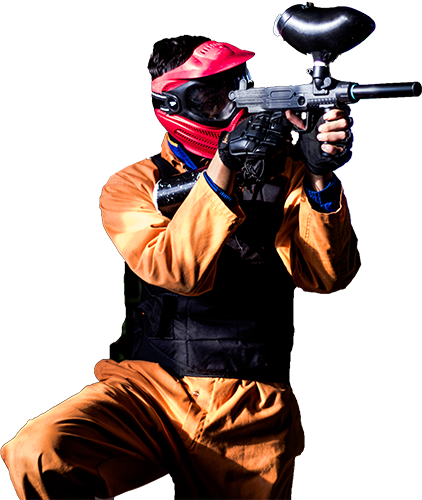 Book an Ultimate party package and take the guess work out of planning your paintball party. Contact us if you want more choice on your order or would like to know more. In case pizza isn’t your thing, we’ve also got a selection of soft drinks, bottled water, sweets and snacks available throughout the day. Please note: * Private games run by a dedicated instructor. All weekday groups are private. $100 private group upgrade fee applicable on the weekends, unless arranged otherwise by prior agreement. ** Open games run on the weekends. No minimum group size. Groups might be joined together based on age and skill level at the discretion of Asylum Paintball, unless arranged otherwise by prior agreement. *** Classic Paintball games do not have a set time limit. Games are run from the booking start time until participants run out of paintballs or end of the operational day, whichever comes first. Additional paintballs are available for purchase on the day. **** Every package includes hire of paintball gun and protective goggle system. Some of the packages include hire of certain items of protective gear, refer to the pricing table above. Additional protective gear is available for hire on the day. ***** Asylum Paintball stocks and uses RAG SPORTS paintballs, manufactured in Auckland, when available. Designed for Indoor Paintball - Splat Arena is the ultimate playground for kids from 6 to 99 years old. Everybody is bound to enjoy this safe, indoor, carpeted playing area. Fitted with a sound system and LED color lights Splat Arena has a lot to like and remember. Drums of war is built as massive outdoor urban assault course. This arena is setup with the spirit of post-apocalyptic scenes. Battle it out among tonnes of drums. It doesn't matter if you are a first timer or a seasoned pro, the Drums of War arena has a lot to like. New Zealand classic - tyre field - taken to the extreme! 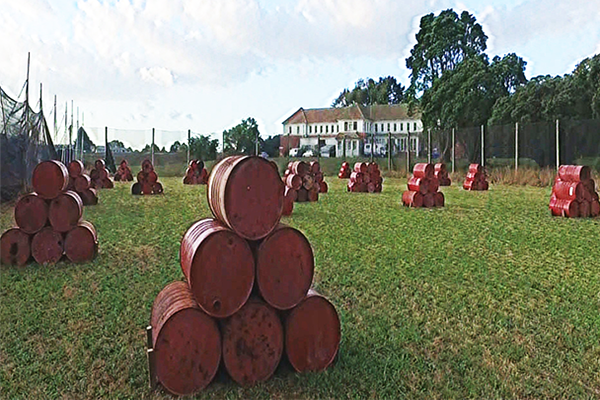 Deserted courtyard jam packed with jumbo tyres from heavy vehicles and machinery. Awaken your death match skills and experience battling inside a fully caged arena. Tyre mania is certain to provide intense, action packed, fast paced fun games. 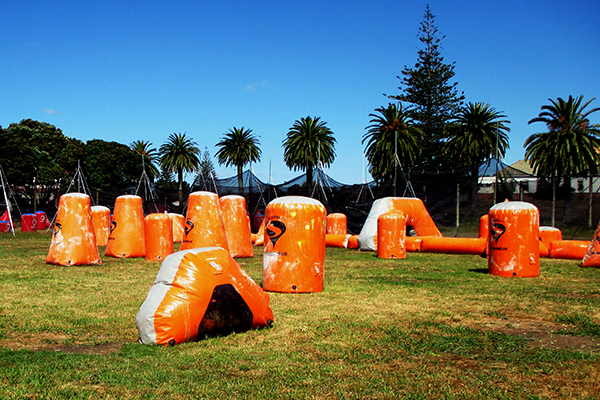 Asylum Paintball Sport arena hosted many of New Zealand national and international events since opened in October 2013. Play like the professionals do on a regulation sized tournament field. Setup using inflatable, movable obstacles allowing for unlimited layouts. Sport style games will test your team work, communication, strategy and tactics. Adrenaline rush is inevitable.